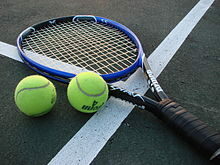 Two West Bladen players –junior Jose Osorio and sophmore Logan Lewis – and one from East Bladen – sophmore Jay McGill – have been named to the All-Three Rivers Conference tennis team. Osorio was the Knights No. 1 singles player and reached the finals of the Three Rivers Conference tournament to qualify for the MidEast Regional. Lewis played No. 4 singles and No.3 doubles for the Knights. Three West Bladen players received honorable mention – senior Desmond Lesesne and juniors Victor Arellano and Jacob Hester. McGill who was East Bladen’s No. 1 singles player reached the semi-finals of the conference tournament and also qualified for the MidEast Regional. Senior Jacob Barber and freshman Jackson Bostic received honorable mention.